Car Key Replacement Bishop’s Stortford by Access Denied, offers car key replacement for all makes of vehicles. We pride ourselves on our work and have a mobile setup including all the equipment needed for car key replacement. Choose Access Denied, Bishop’s Stortford & Auto Locksmith Services. If you have misplaced your car keys, then Access Denied can supply Car Key Replacements in Bishop’s Stortford. Our team can replace keys – even if you have lost all the originals! We carry stock on board for almost all makes of vehicle. 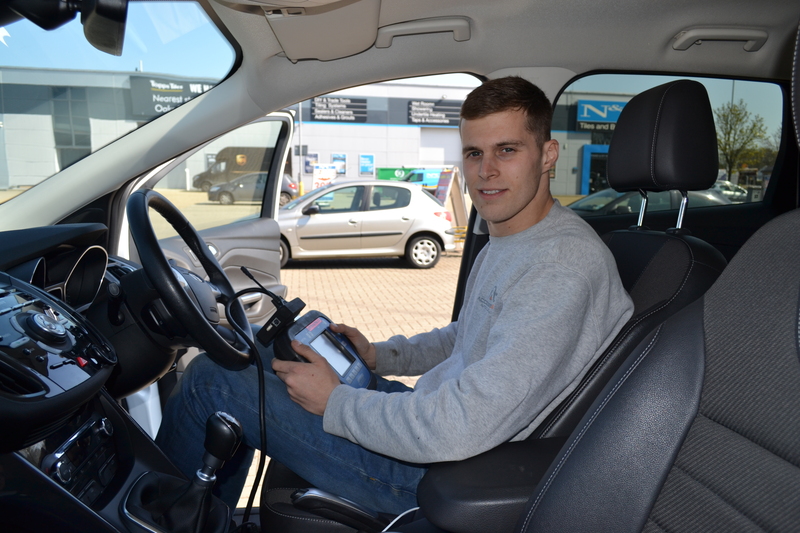 We also have a mobile work-station to allow key-cutting & programming in Bishop’s Stortford. Access Denied has a modern on the road work station. Our facilities allow us to provide road side support with 24/7 emergency cover in Bishop’s Stortford. The team stock everything required for all types of cars, so you won’t be delayed. Not so long ago getting replacement car keys cut was a simple affair. But now car keys have all sorts of components built-in to handle the extra functions: central locking, alarms, immobilisers etc. Knowing where to get a car key replacement in Bishop’s Stortford is all important, and not just for lost car keys. There’s getting spare keys cut and programmed to match your car, so that you have spares just in case you lose them. Then there’s replacing batteries, transponder chips and even buttons and cases too. That’s not all. After years of use buttons eventually fail, some manufacturers being worse than others. A good car key replacement company will be able to get the correct type of key fob and transfer the electronics and battery from your old key. Water damage is also a problem. An old key would have shrugged water off but with electronics and batteries in modern car keys, water just ruins them. If you’re lucky you might be able to dry the key out and get it working, but you’re living on borrowed time. The moisture will still be around the metal components and the miniature circuit board. Eventually oxidisation will eat away at the contacts and tracks on the boards and the car key will fail. So if you have accidentally dropped your key into water, it’s well worth arranging a trip to a car key replacement company in Bishop’s Stortford to get some spares before your original set stops working! We promise the best price for car key replacement. We believe we are the most cost effective option, and will beat any other locksmiths in your local area on price and customer service. Please contact us about car key replacement Bishop’s Stortford. If you need your Car Key Duplicated in Bishop’s Stortford we can use your current keys and create new ones. In the event of broken keys we can still make duplicates or replace them. If your car key requires reprogramming in Bishop’s Stortford, we have a qualified team of specialist engineers that can assist you. We can also make multiple car keys whilst we work on your vehicle. Do you need the best car locksmith in Bishops Stortford? If you have a problem with your car keys or remote locking system, then you need professional help quickly. Are you looking for a car locksmith in Bishops Stortford or nearby? What car locking problem do you have? Locked out of your car, with the keys in it? New car key needs programming? If you need any of those problems solved, you need to call the best car locksmith Bishops Stortford can offer. Why do you need a specialist auto locksmith in Bishops Stortford? Often people make the mistake of thinking an ordinary household locksmith or key cutter can make car keys. It’s true to an extent, but even if they have the right blank, the key you end up with will probably only open the doors – if that. Over twenty years ago, the government decided to do something to stop the rampant car thefts and joyriding going on at the time. So, they made car manufacturers fit security immobilisers to cars sold in the UK after 1995. What’s this got to do with auto locksmiths in Bishops Stortford? A modern car key has microchips inside the fob, which control the immobilisers and remote locking systems that modern cars have. Without the correct chip, properly coded, the key won’t start the engine. If you’re in Bishops Stortford or the surrounding towns and villages, you need to find someone who can cut a new key, then programme it to fit with your car. A professional auto locksmith in Bishops Stortford will be able to get into your car (if that’s required), then make spare keys for you that work with the car. That’s why you need to call the best car locksmith Bishops Stortford can offer – we’re waiting for you to call! Finding that your keys are locked in your car in Bishop Stortford isn’t something any of us want to deal with. As well as being a problem that needs sorting out quickly, it’s also a problem that’ll put a halt on anything you were planning to do for the day. Whether you were heading off to work or to pick the kids up from school, you won’t be getting very far when the keys are locked in and you’re locked out. So, what’s the solution? If you’re lucky enough to have a spare car key lying around, congratulations! You’ll be on your way in no time. Simply, head home and pick up the spare. However, most people do not have a spare and this is where problems arise. Without a spare key and no way to get into the vehicle, what are you supposed to do? Calling a locksmith to solve the problem of keys locked in a car in Bishop Stortford isn’t uncommon. You may be surprised at how many people it happens to. In fact, a large number of our customers come to us when their keys are locked in. Luckily, professional automotive locksmiths are able to fix the problem in a matter of minutes. With state of the art equipment and a fully mobile service, the locksmiths here at Access Denied can be with you in record time. This means you won’t be waiting long before an expert is able to gain access to the vehicle. Then, you’ll be on your way. Are Your Keys Locked In Your Car In Bishop Stortford? If your keys are locked in your car, you’re probably stressing out and worrying what to do. After all, without the keys, you won’t be getting very far. Luckily, help is at hand. At Access Denied we are always available and we’re complete mobile, meaning we can assist you whenever and wherever you find yourself without your car keys. To find out more or to contact one of the Access Denied, get in touch on 07534 277 020 or via the online contact form. Meta Description: If you find yourself with your keys locked in your car in Bishop Stortford, we can help. Contact Access Denied today on 07534 277 020. As well as car key replacement, Bishop’s Stortford residents are likely to also want a new fob and a replacement transponder key if the car is made after 1995. A transponder chip is embedded in the key to deactivate the immobiliser system and enable the car to start. Without this, you won’t be able to drive the car anywhere. Modern cars all come with electronic door locks, making it easy to quickly open and shut a car, or just the boot if needed. Transponder keys – specifically programmed to each car, remote car keys, key fobs, and standard car keys can all be replaced by an auto locksmith for most types of vehicles. Contact us regarding your specific issue and our staff members will offer the right options for you. Access Denied Car locksmiths in Bishop Stortford use the safest forms of non-destructive entry to your car to ensure high quality repairs with no damage. We only use quality approved products and will only carry out work that’s necessary. 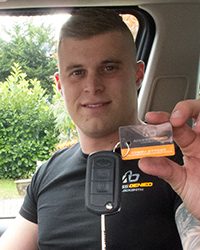 We needed a car key replacement in Bishop Stortford, and we stumbled across Tyler from access denied, he was quick professional and affordable, would recommend.